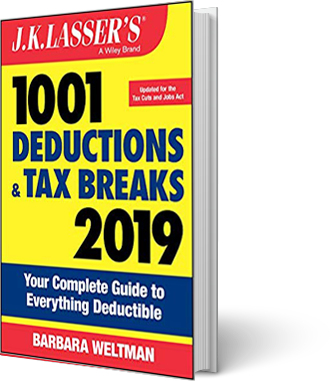 Presenting a recently-launched, updated, paperback edition! 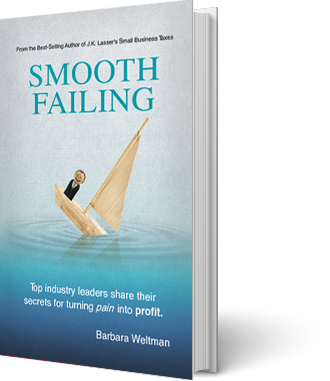 Barbara Weltman takes an inspired look in Smooth Failing at the hard lessons learned when things go wrong. Through extensive interviews with entrepreneurs whose ventures failed for a variety of reasons — some stunningly unexpected, some painfully inevitable — Barbara gleans valuable insights about the small mistakes that can lead to large scale catastrophe. Smooth Failing seeks to save readers from similar disaster — while empowering those who are learning from failures and adversity to bounce back stronger and wiser on the often rocky road to success. 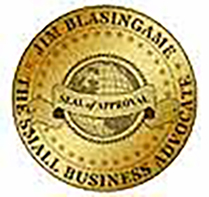 As a self-employed person you have to handle many, if not all, of the aspects of running your business. 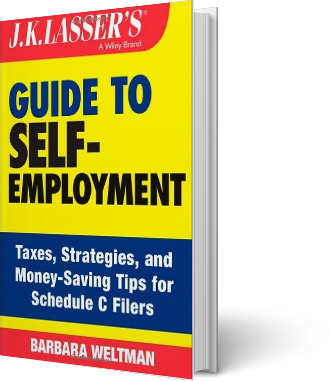 J.K. Lasser's Guide to Self-Employment is intended to help you with some business aspects with which you may not be familiar—but which have a great impact on your bottom line. 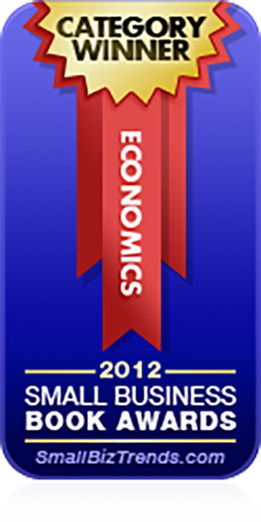 It skillfully focuses on taxes as well as many legal and financial matters that may pertain to your business. 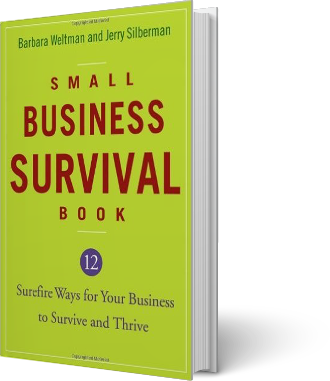 12 surefire ways for your business to survive and thrive! 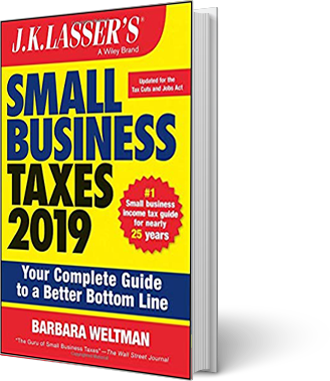 Owning a small business can be a fulfilling and financially rewarding experience, but to be successful, you must know what to do while the business is up and running, and, most importantly, what to do when the business runs into trouble. 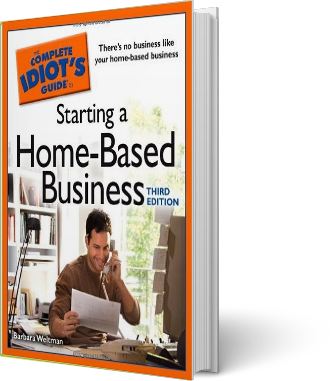 This book is definitely part of what you need to succeed! As Vicki Raeburn of Dun & Bradstreet notes in the forward, "...the successful creation of credit by small business has a significant effect on one of the most important business drivers, namely cash flow. 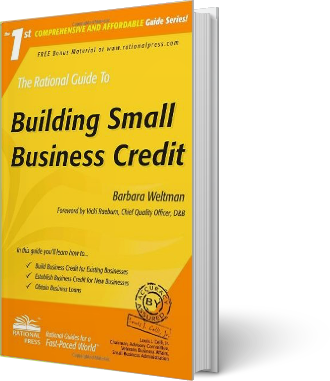 ... [This book has] the information needed to understand and build business credit." 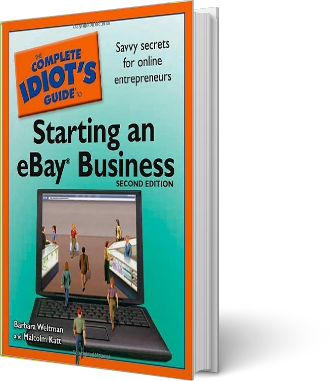 eBay has opened up a world of possibilities for just about anyone who wants to make money. You don’t need an advanced business degree from Harvard or Yale. You don’t need millions of dollars in up-front capital to get started. You don’t need any special skill or talent. All you need is a desire to succeed and an understanding of the steps you must take to accomplish your goal.